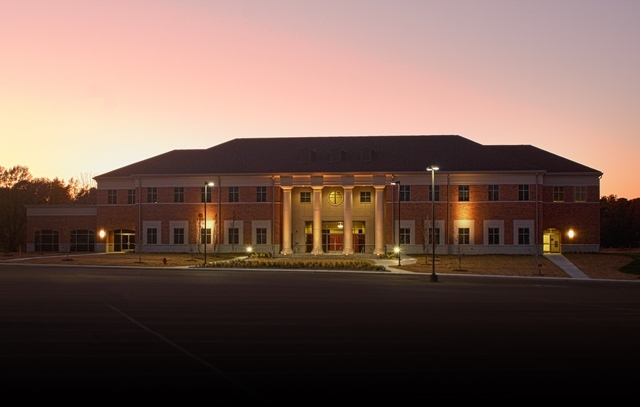 Agriculture Center dedication on January 25, 12:00 p.m.
Southern Arkansas University prides itself on giving students the best educational opportunities with access to technologically-advanced facilities. Introducing agricultural facilities to the region began in 1909 with the Third District Agricultural School. SAU is building on that tradition while investing in a promising future and the latest example of that is the new Agriculture Center. The Agriculture Center, located on the north side of the $17-million Science Center, is 30,557 square-feet and has a 60 by 75-foot pavilion at the back of the building. 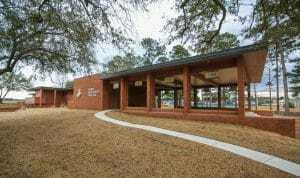 Boasting technologically-advanced classrooms and labs, the new facility is scheduled to be dedicated on January 25, 2013. The Agriculture Center heralds a new era for programs formerly headquartered in the 1960-era Childs Hall, which began as a barn built during World War II and housed students as a residence hall before conversions made the space into classrooms. With the highest commitment to quality, faculty and staff in SAU’s Department of Agriculture provide students with unequaled experience and education in degree programs in agriculture education, agriculture business, and agriculture science. Some agri students who come to the Magnolia campus do not have farm experience, but with the fully functioning SAU farm and new facilities, students are able to blend a superior working knowledge of a farm with classroom and lab experience. As the Agriculture Center becomes a reality, opportunities are available to name offices, classrooms and laboratories through investments in the center. All contributions will be used to equip classrooms and laboratories with the technology and resources needed to produce a new generation of outstanding graduates. Donations are also being accepted to name the large lecture hall on the south side of the building for Orval Childs, under whose leadership the Agriculture Department gained prominence as one of the best in the state. 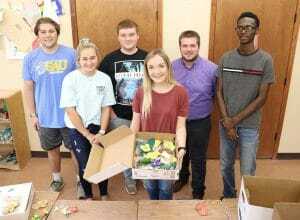 The department has maintained the student-centered atmosphere Childs helped build, and SAU agriculture alumni have a track record of making significant contributions to agriculture science and education. Efforts are also under way to name the student lounge in memory of the late Kory Dedmon, an agriculture major with a promising future cut short too soon. 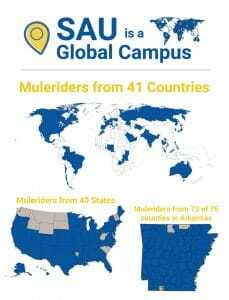 “The vision and mission of the Agriculture Department show the dedication SAU has to students and the furtherance of agriculture, not just locally, but globally,” said Miller. More opportunities to give toward the Agriculture Center are available. Find out more at www.saufoundation.org/giving/agriculture-center/ or call (870) 235-4078.